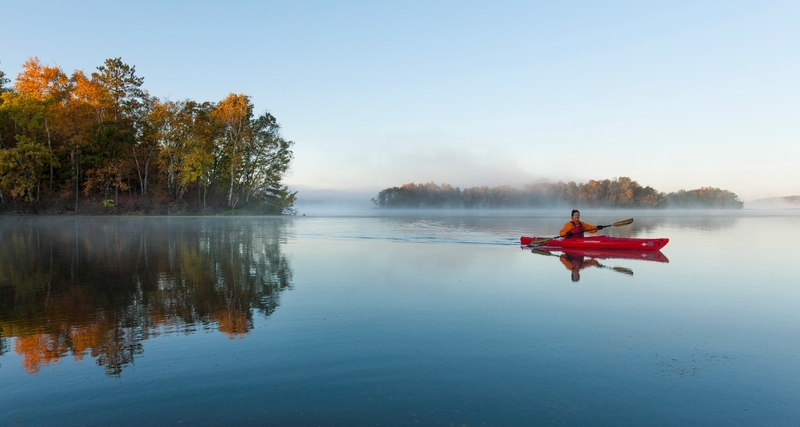 The Brainerd Lakes Area is one of Minnesota's most rapidly growing regions and a popular destination for many types of outdoor recreation. The Potlatch Corporation owned roughly 2,000 acres in Crow Wing County, northeast of Brainerd, with nearly three miles of pristine, undeveloped shoreline along the Mississippi River. The land is not just a treasured recreation area but also provides valuable habitat for spawning fish, migrating waterfowl, and Blanding's turtles—a threatened species. For nearly ten years, The Trust for Public Land and partners have worked to protect this "Mississippi River Northwoods Habitat Complex", linking the Potlatch property to nearby conservation lands, creating a nine mile stretch of protected land along the Mississippi River. The 2012 Minnesota Legislature approved $11 million from the state’s Outdoor Heritage Fund for the protection of the Mississippi River Northwoods Habitat Complex property, marking a path to final success. The Governor signed the "Legacy Bill" into law on May 1, 2012, marking a critical milestone in this protection effort. Funding for this project was provided by the Outdoor Heritage Fund as recommended by the Lessard-Sams Outdoor Heritage Council. In November 2012, The Trust for Public Land transferred the property to Crow Wing County, to own and manage for current and future generations to enjoy.